I DO NOT OFFER SEXUAL SERVICES. After several years renting a treatment space at Spiritwind in Toronto’s Kensington Market, I reached a point where most of my clients came through word of mouth. Many had long preferred the cozy environment of my home already. 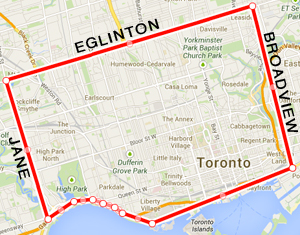 So I am now limiting my sessions to my Parkdale home and mobile appointments (see home visit boundaries below). This has the bonus effect of keeping my prices low! I am located near Queen and Dufferin Streets in Parkdale, Toronto (details upon booking). I put great care into creating a tranquil, comfortable and clean environment for massage sessions in my animal-free home. I can reserve guest parking upon request. South of Eglinton Avenue to Lake Ontario; West of Broadview; East of Jane Street. I will travel further for an additional fee.